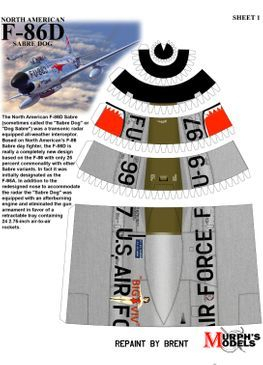 The North American F-86D Sabre (sometimes called the "Sabre Dog" or "Dog Sabre") was a transonic jet all-weather interceptor of the United States Air Force and others. 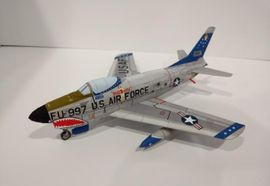 Based on North American's F-86 Sabre day fighter, the F-86D had only 25 percent commonality with other Sabre variants, with a larger fuselage, larger afterburner engine, and a distinctive nose radome. 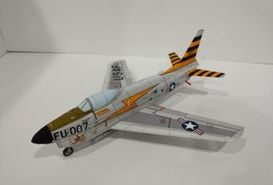 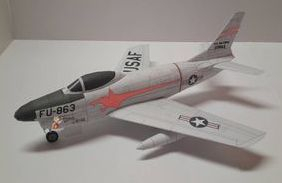 The YF-95 was a development of the F-86 Sabre, the first aircraft designed around the new 2.75-inch (70 mm) "Mighty Mouse" Folding-Fin Aerial Rocket (FFAR). 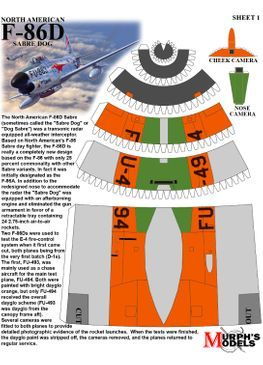 Begun in March 1949, the unarmed prototype, 50-577, first flew on 22 December 1949, piloted by North American test pilot George Welch and was the first U.S. Air Force night fighter design with only a single crewman and a single engine, a J47-GE-17 with afterburner rated at 5,425 lbf (24.1 kN) static thrust. 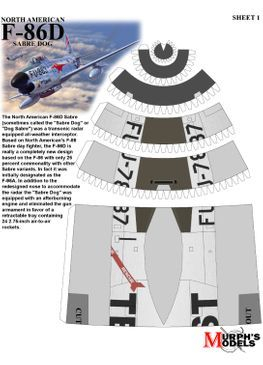 Gun armament was eliminated in favor of a retractable under-fuselage tray carrying 24 unguided Mk. 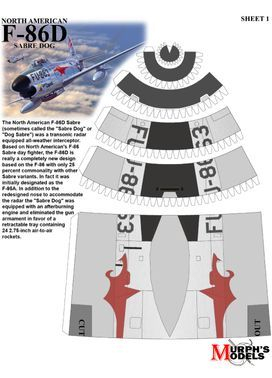 4 rockets, then considered a more effective weapon against enemy bombers than a barrage of cannon fire. 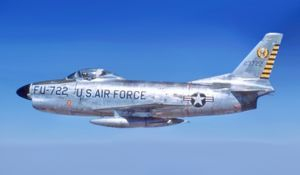 A second prototype, 50-578, was also built, but the YF-95 nomenclature was short-lived as the design was subsequently redesignated YF-86D. 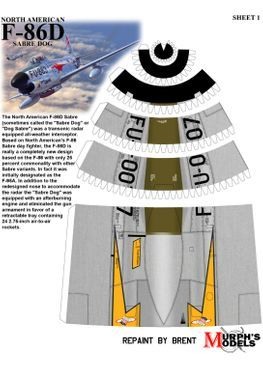 The fuselage was wider and the airframe length increased to 40 ft 4 in (12.29 m), with a clamshell canopy, enlarged tail surfaces and AN/APG-36 all-weather radar fitted in a radome in the nose, above the intake. 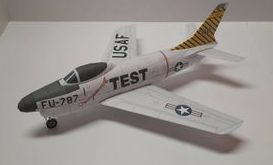 Later models of the F-86D received an uprated J-47-GE-33 engine rated at 5,550 lbf (24.7 kN) (from the F-86D-45 production blocks onward). 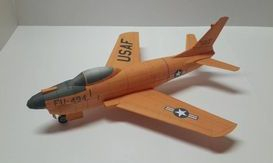 A total of 2,504 D-models were built.